Kindergarten is not the start of schooling. By five, most Montessori children will begin to read, and many will be introduced to multiplication and division. 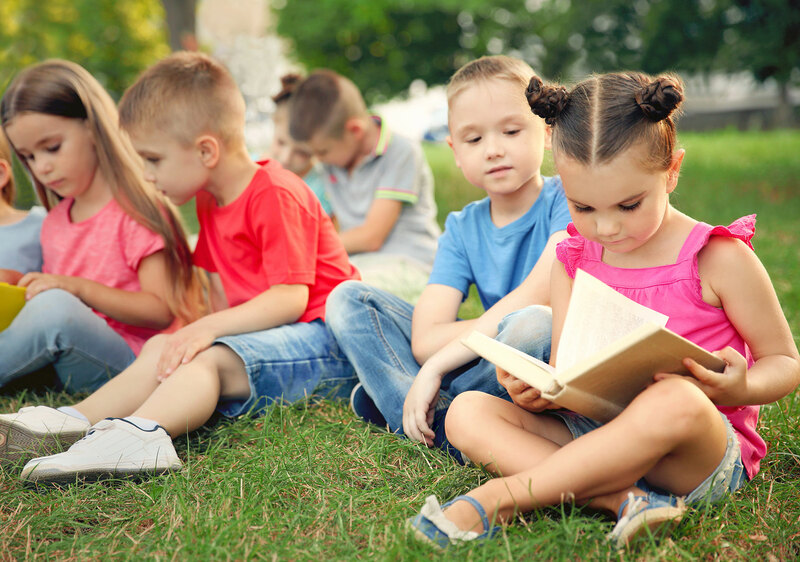 The third (or Kindergarten) year is the time when many of the earlier lessons come together and become permanent part of the young child’s understanding. An excellent example is the early introduction to addition with large numbers through the bank game. When children leave Montessori at age five, many of their still-forming concepts evaporate, just as a child living overseas will learn to speak two languages, but many quickly lose the second language if his family moves back home. As a five-year-old, your child has many opportunities to teach the younger children lessons that he learned when he was their age. Research proves that this experience has powerful benefits for mentor and mentored. Your child already knows most of her classmates. She has grown up in a safe, supportive classroom setting. And having spent two years together, your child’s teachers know her very, very well. Five-year-olds have a real sense of running their classroom community. If your child has been treated with a deep respect as a unique individual. The school has been equally concerned for his intellectual, social, and emotional development. If your child goes on to another school, he will spend the first half of the year just getting used to the new educational approach. Montessori schools are warm and supportive communities if students, teachers, and parents. Children can’t easily slip through the cracks! Montessori math is based on the European tradition of unified mathematics. Basic geometry is introduced at a young age. Our goal is to develop students who really understand their schoolwork. Learning is not focused on tote drill and memorization. Students learn through hands-on experience, investigation, and research. They become actively engaged in their studies, rather than passively waiting to be spoon fed. We challenge and set high expectations for all our students, not only a special few. Students develop self-discipline and an internal sense of purpose and motivation. The Montessori curriculum is carefully structured and integrated to demonstrate the connections among the different subject areas. Every class teaches critical thinking, composition, and research. History lessons link architecture, the arts, and science. Students learn to care about others through community service. Students in Montessori schools are not afraid of making mistakes because they have learned how to self-correct; they see them as natural steps in the learning process.